At Vanish Cleaning Services Brisbane we pride in being a leading company in the provision same day upholstery cleaning services in Brisbane and its environs. We have the most competent team of certified cleaners who will provide you with 100% satisfaction guarantee on all services done. You only need to call us for free quote and then begin receiving our expert upholstery cleaning from Vanish Cleaning Services Brisbane at the lowest price rates available in Brisbane. Vanish Cleaning Services Brisbane is well known for the provision of expert service for all needs when it comes to doing Couch steam cleaning and also carry out Lounge cleaning. As a reputable Upholstery cleaning company, we effectively work on all activities in Upholstery steam cleaning because it is our core activity as Vanish Cleaning Services Brisbane. As leading cleaners in the industry, Vanish Cleaning Services Brisbane handles every type of upholstery cleaning projects with proper care that such tasks deserve. Strict cleaning procedure is observed to ensure that we achieve 100% satisfaction guarantee. 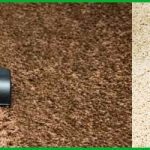 Vanish Cleaning services Brisbane will send over a certified cleaner to your residence who will begin the assignment by carrying out proper stain removal to wholly get rid of all stubborn stains identified by our professional certified cleaner. The stubborn stains will end up being cleared using Vanish Cleaning Services Brisbane certified eco-friendly cleaning solutions duly permitted for use in upholstery cleaning and stain removal from your fabrics and other upholstery without bringing about any unnecessary harm. In this second stage our certified cleaner from Vanish Cleaning services Brisbane will carry out steam couch cleaning by undertaking the entire relevant steam couch cleaning process and eventually handle the remaining upholstery cleaning. Preferred method of upholstery cleaning differs from one type of fabric to another fabric. By and large, steam cleaning technique is used if required. Vanish Cleaning Services Brisbane provides same day services to all its upholstery cleaning clients. When you contact Vanish Cleaning Services Brisbane, be sure of getting same day service. This is regardless of whether you need emergency cleaning services or our expert service. We are driven by passion to serve and see you happy after our upholstery cleaning services. Vanish Cleaning Services Brisbane is a locally owned Company and this factor makes us have an added advantage over rivaling competitors in the industry. Couch Steam Cleaning is a modern and effective way to clean the couch and kill the germs and pathogens as well. Vanish Cleaning Services will provide you with the best couch steam cleaning service anywhere in Brisbane. We will first carry out vacuum cleaning f the couch to remove all the dirt and dust. Stains are then treated and removed by using the best commercial products. Couch steam Cleaning is then carried out by using heavy duty steamers. Our professional upholstery cleaners are experienced and well trained in upholstery cleaning services. We will deliver the best couch steam cleaning for you in no time. Hire Vanish Cleaning services for couch steam cleaning today and get the benefits of this effective method for complete and eep couch cleaning. Upholstery and couches are our common sources of relaxation and comfort. Upholstery can face stains from any source be it food, liquids, coffee or wine. These stains can damage and decolourise the fabric of the upholstery and can also promote germ growth as well. Hire Vanish Cleaning Services today for upholstery stain removal anywhere in Brisbane. Our professional couch cleaners will treat the stains with the best commercial products and solvents. Our team of experts can treat and remove any kind of stubborn stain be it old or fresh. Don’t let the stains damage the couch and make it look ugly and dirty. Hire Vanish Cleaning Services today and get rid of stains easily in no time. Our upholstery stain removal service will promote the life of upholstery and keep it clean as well. Vanish Cleaning Services Brisbane provides upholstery cleaning services in a very professional manner to domestic and business clients who are spread all over Brisbane and they include homeowners, office property, fitness training centers, condominiums, a great number of child care providing centers, various nursing homes, leading supermarkets, and kindergartens. Our passionate team of professional certified cleaners is vastly trained and has all the requisite professionally approved knowledge to undertake upholstery cleaning tasks aimed at achieving 100% satisfaction guarantee on your part. All Vanish Cleaning Services Brisbane cleaners live within Brisbane making it possible for them to be able to serve you in times of emergency if required.